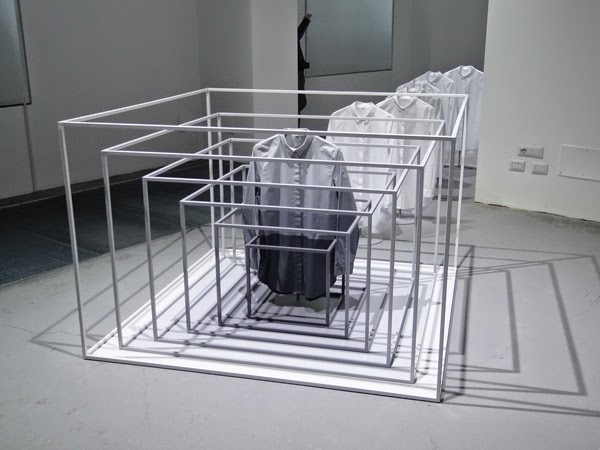 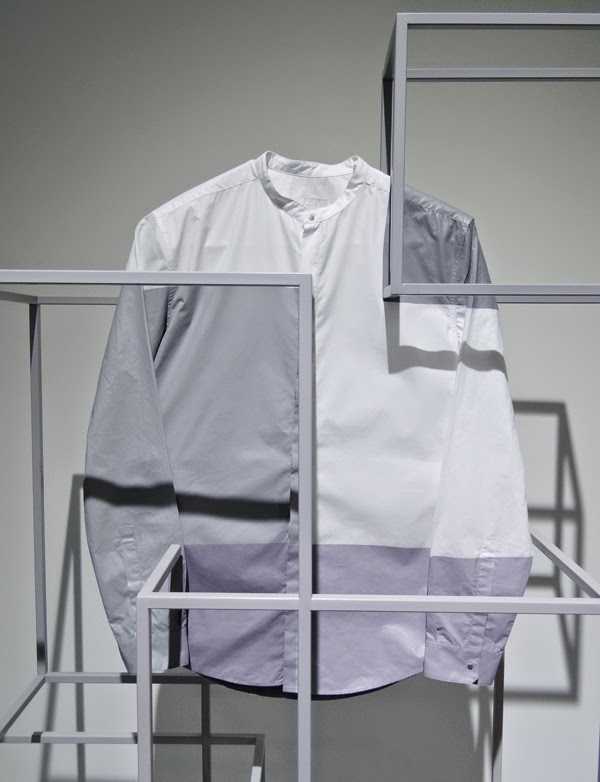 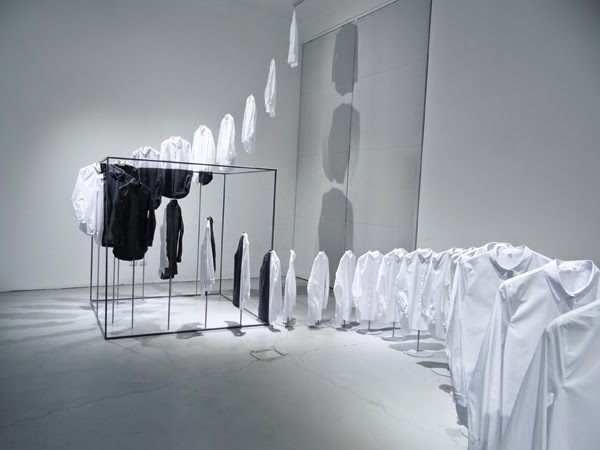 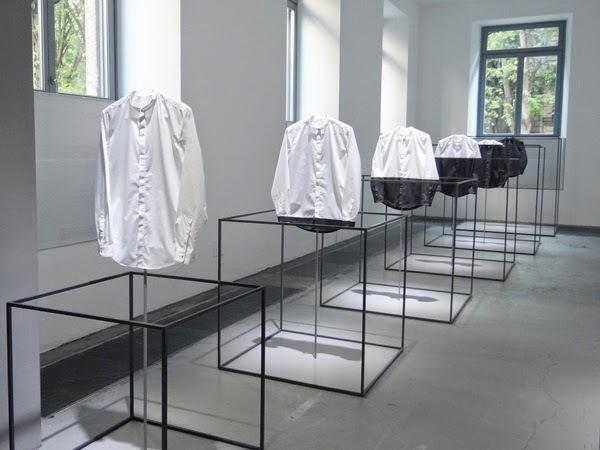 Staying in tune with Cos’ clean and sophisticated design aesthetic, Nendo transforms Cos’ essential classic white shirt into a minimalist installation at Milan Design Week 2014. 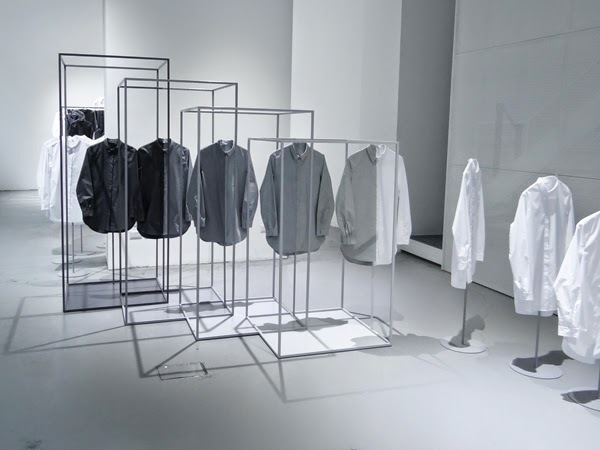 Nendo updates the conventional clothes rail into a series of simple cubic steel frames, each coated with a matte grey or a cool pastel tinted finish. 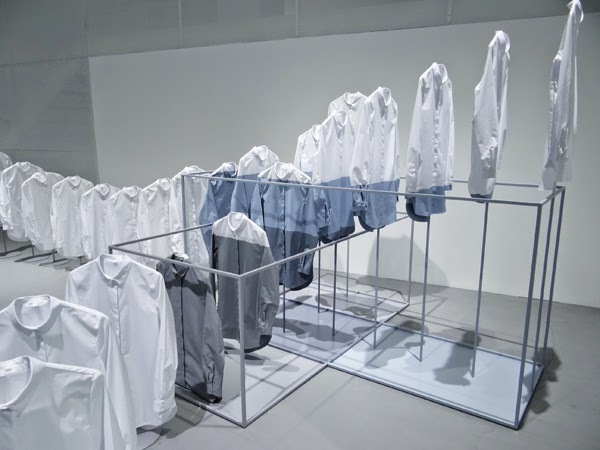 The basic white shirt is systematically suspended from above in an ordered row as if on a factory production line. As the shirt enters the framed space it takes on a clean block of colour creating solid colour detail in unique proportions.